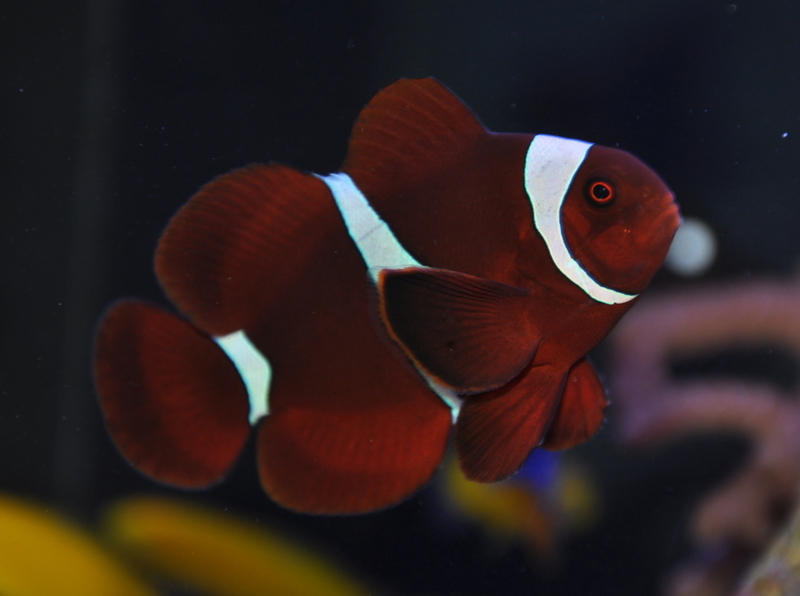 Notes: Maroon Clownfish are very hardy. It is a semi-aggressive fish as it does become very territorial. Usually kept in pairs, Females will be the larger of the two and will display dominance.